« Night vision in the Great Auditorium #5: A serious man..
Like a melody? We’re referring to a pretty girl. Fifth Avenue at Central Park. August, 2014. © Paul Goldfinger photo, NYC Street Series . Click to hear the melody better. 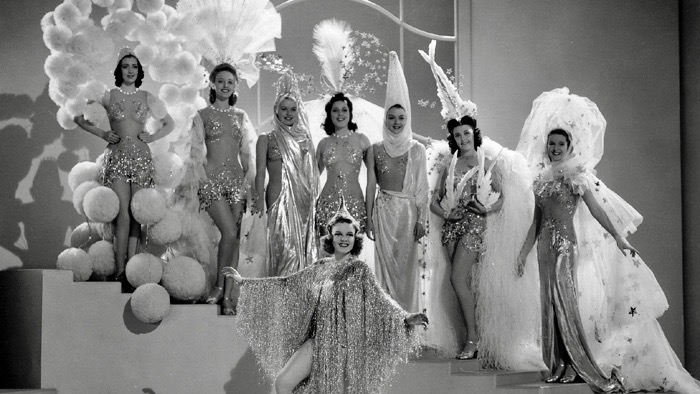 Ziegfeld Folllies. Internet photo. Click to enlarge.